Take your ground meat and place it into a large skillet. Add in all ingredients but the eggs and breadcrumbs and mix until thoroughly combined - best using your hands. When all the ingredients are combined, add in the eggs and breadcrumbs. Mix again; until a smooth mixture is obtained. Form small, bite-sized meatballs in your palms, and arrange them in the same skillet. 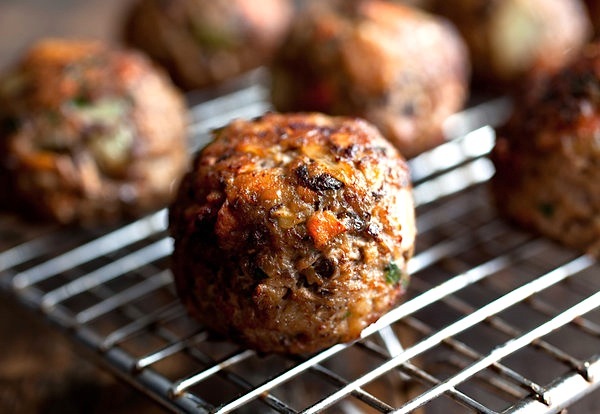 The meatballs can be cooked on an open fire directly on the grill or in the skillet. Serve with a spicy chipotle sauce.